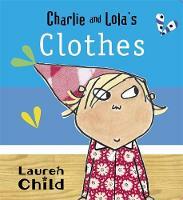 Lauren Child is one of the most talented and creative author-illustrators working today. Born in 1967, she grew up in Wiltshire and studied art in Manchester and London. 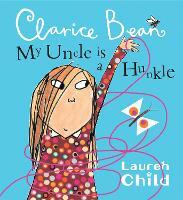 Her first books, I Want a Pet and Clarice Bean, That's Me, were published in 1999. 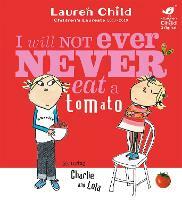 The first of her much-loved series of picture books featuring the endearing 7-year-old Charlie and his 5-year-old sister Lola, I Will Not Ever Never Eat a Tomato, was published in 2000 and won the Kate Greenaway Medal. 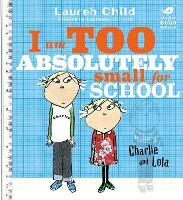 She went on to write several more books about the loveable pair and their friends, who have starred in their own BBC TV series since 2005. 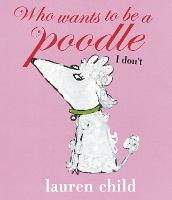 Lauren's distinctive quirky and humorous illustrative style is characterised by its combination of different media, including photographs, magazine cuttings and collage. 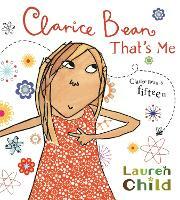 In 2002 Clarice Bean, who had earlier appeared in picture book form, took centre stage in Lauren's first children's novel, Utterly Me, Clarice Bean, which was followed by more books in the popular series featuring this unconventional little girl. 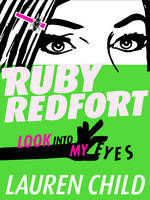 Clarice's favourite literary character, undercover agent and mystery solver, Ruby Redfort, was then given her own series. The latest instalment is Feel the Fear, while Catch Your Death, is now out in paperback. 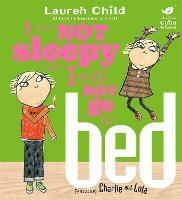 Lauren has also brought fresh new illustrations to several children's classics, including Pippi Longstocking and The Secret Garden and her work has won or been shortlisted for numerous awards including the Nestle Smarties Book Prize and the British Book Awards. 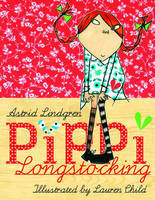 She was declared UNESCO's Artist for Peace in 2008 and in 2010 she was awarded an MBE for services to literature. 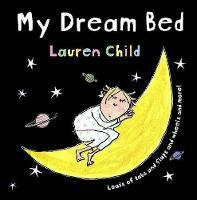 Below, Lauren talks about her inspirations, her favourite characters and how maths professor Marcus Du Sautoy came to be involved with Ruby Redfort. 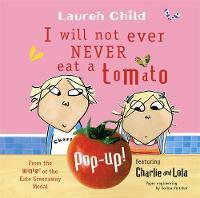 You can download an extract of the book here. 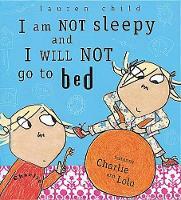 When did you know that Ruby needed her own book? 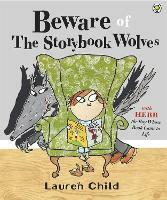 So many Clarice Bean readers were writing asking where they could buy the Ruby Redfort stories, that I realised that Ruby as the literary heroine of Clarice Bean's favourite books was a real character to many of the readers. I'd always wanted to write another novel series and it felt that I already knew who Ruby was and how to write the books. What inspired you when you were creating Ruby? 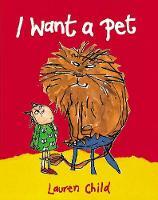 Did any particular books or films influence you? Ruby really came from watching slightly too much American TV as a child. I was a keen reader but I was also an avid watcher of cop shows and detective series, screwball comedies and sitcoms. I loved and still love films - Hitchcock thrillers particularly, North by Northwest is a favourite. Also films where children take the leading roles, ET, Bugsy Malone, the original Freaky Friday with child star Jodie Foster, and the beautifully written and shot, Paper Moon with eleven year old Tatum O'Neal. Ruby is a super-intelligent code-cracker. 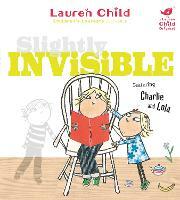 Are you a fan of puzzles and codes and how did you create them for the book? I am fascinated by puzzles and codes but quickly realised that if I wanted to convince my readers that Ruby is a genius code-breaker then I needed to find someone who could write genius level codes for her to crack - e.g. not me. For the book we asked the exceptionordinarily clever maths professor at Oxford University Marcus Du Sautoy to be our super geek consultant and to create the codes for the book. I would very much like to write another Clarice Bean novel, I have an idea for one but not sure when I will get around to writing it. Of all your creations, who is your favourite character and why? It is hard to come up with just one because each book is a favourite for a while at least... until the next one comes along. 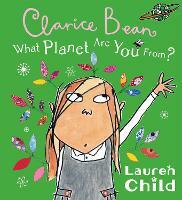 Clarice Bean is a favourite character, perhaps because she was my first, perhaps because she can talk about anything so I never run out of things for her to say. Hubert Horatio Bartle Bobton-Trent is another character I am fond of, he is a boy genius and super rich too, not unlike Ruby Redfort in many ways but without the secret agent lifestyle. Ruby is fun to write about because she is so confident, not afraid of anyone - or at least, almost anyone. I enjoy writing dialogue for her and Clancy, they sort of like to banter. 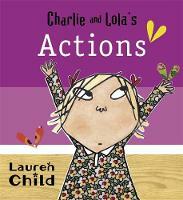 What's next for Ruby Redfort - and for you, Lauren? I have already begun the second Ruby Redfort and am just deciding on the theme and setting. Apart from writing Ruby I also hope to find time to do some illustrating, it's something I miss when I am writing novels.